The beauty of the Saddlespan is in it’s simple architectural design with a clean modern shape. Saddlespans offer stunning visuals, amazing acoustics and are a perfect backdrop for lighting effects and branding. Offering the same sleek lines and beautiful shape as the larger Saddlespans, the S1000 is a neat solution for a smaller performance or entertainment area. It can be installed on grass using ground stakes or on hard surfaces with a ballast solution. 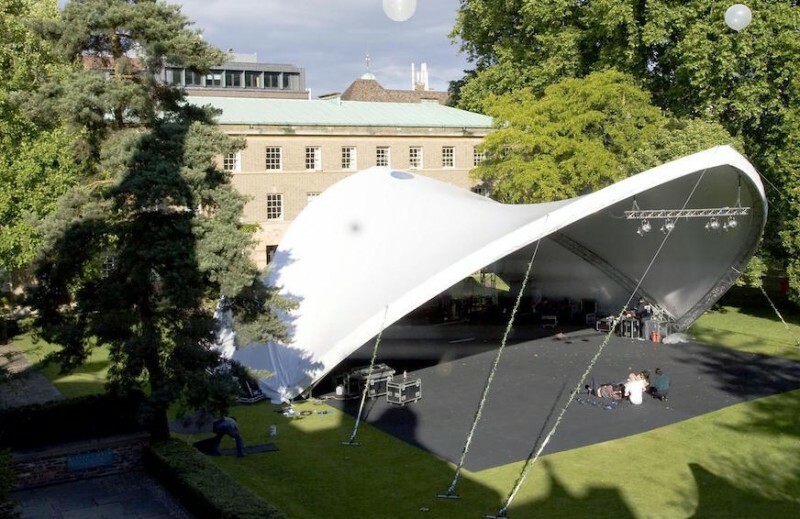 Using the Saddlespan as a Concert Shell where the PA is installed under the roof offers not only stunning visuals but also fantastic acoustic properties – the shape and roof material has similar properties to a speaker membrane thus containing and pushing the sound forward and down. Our existing clients have found this invaluable especially in built up areas where noise restrictions are enforced. 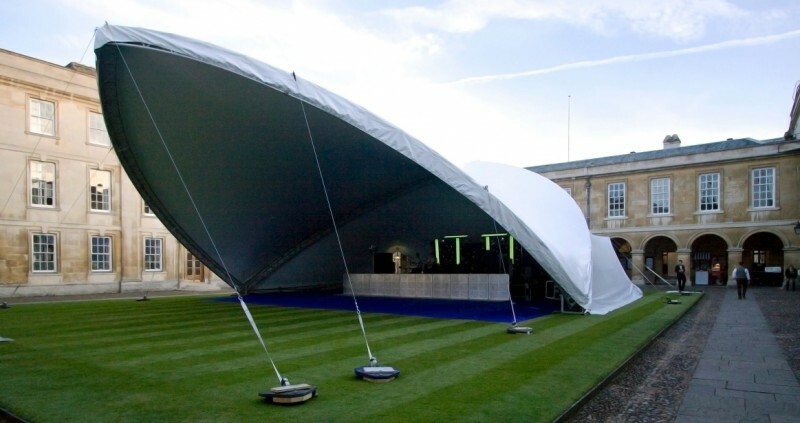 Not only do these marquees and tents look great but they are quick to install with minimal impact on the grounds. Our expert and efficient crew will set up these Saddlespan models with no requirement for machinery or power supplies on site. Their unique simplicity means no heavy HGV is needed for transportation, and the ability to use ballast fasteners mean they can be fixed to any surfaces with little to no impact. Lighting and sound engineers love working with our Saddlespans as they can easily achieve great results. 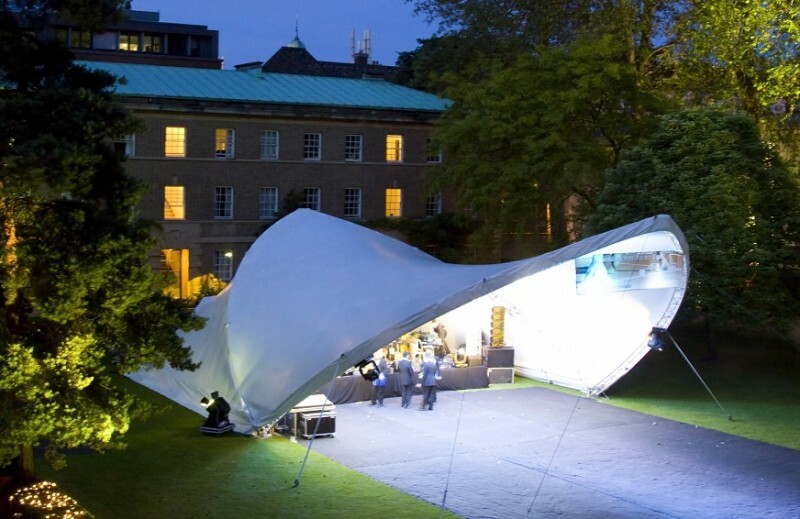 The tent’s rigging can hold up to 440kgs of equipment which can be attached straight on to it. 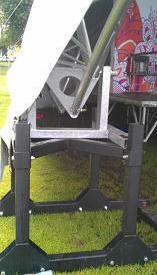 Equipment can be attached to the framework at ground level before the tent is fully raised, avoiding the need for working at heights. 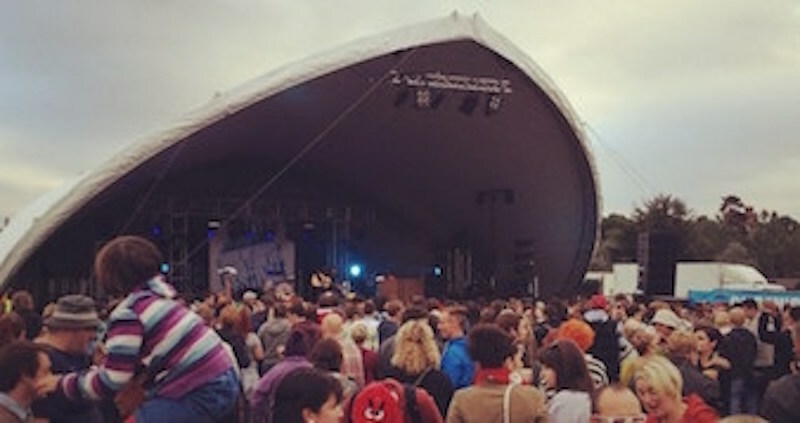 If you are planning a festival or concert with a large audience, we can raise the S5000 a further 1 metre above the ground using our specially engineered ‘Base Risers’. They increase the height and visual impact of the Saddlespan to give the overall effect an extra boost! 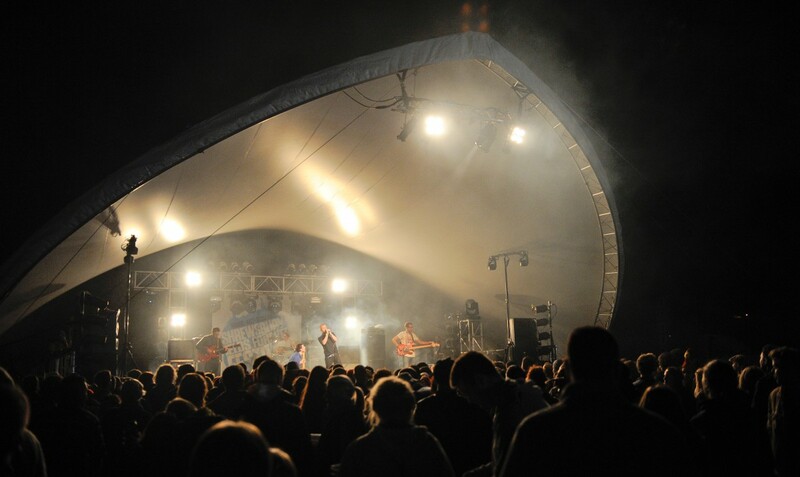 The flexibility of the S5000 and S2000 models mean you can add extra elements to your structural design, creating a mix between these and the matrix modular marquees to allow for individual spaces such as backstages, bar and food areas.